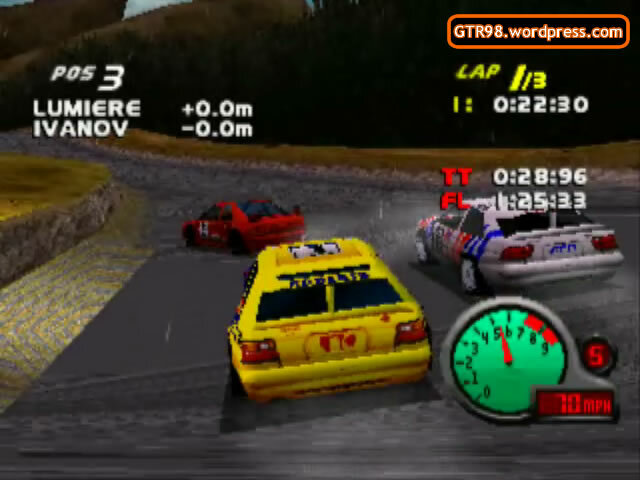 In Scotland 3, Rally cars drives a turbulent race containing three laps. 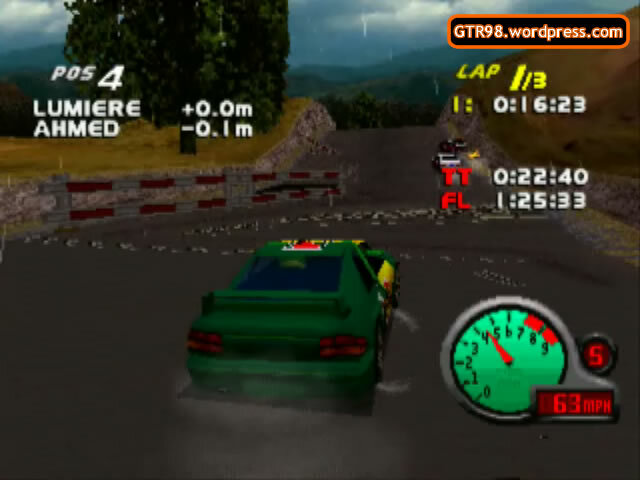 The road is only slightly slippery, but it should not significantly affect the player’s driving accuracy. 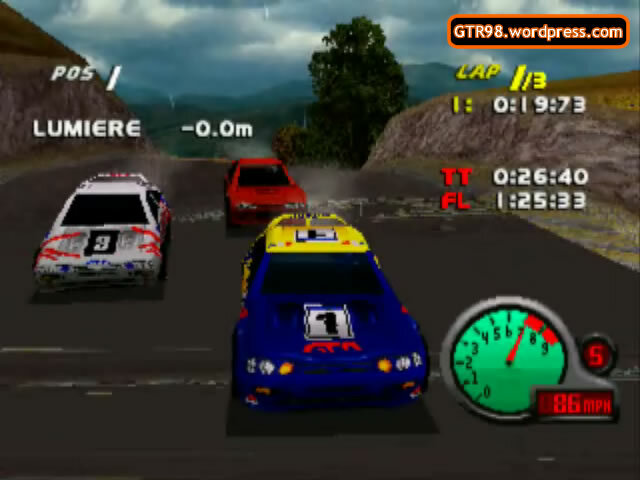 In the beginning, the player is likely to encounter a pileup that may potentially involve every car but AI Roberts. If the pileup does not occur, the race will still feature a manhandling performance by Roberts, who will build at least a mile of ground before starting Lap 3. With that in mind, players aiming to win Level 3 should expect a long chase between themselves and AI Roberts. 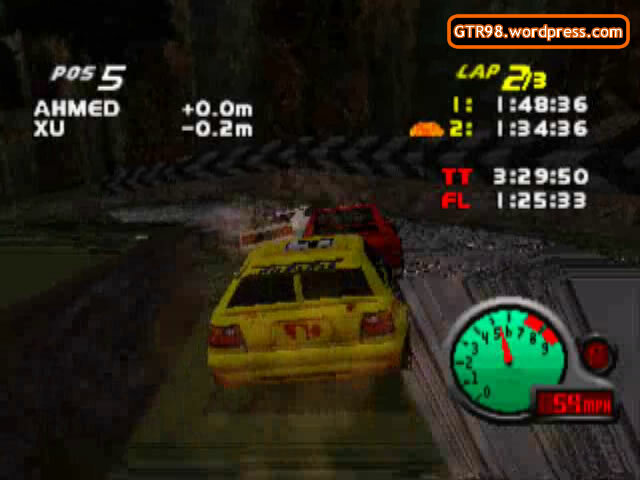 He and the rest of the HomeTrackers will slow down in Lap 3, allowing the player to catch up. However, Morgen and Rossi will speed up; if the player still trails Rossi by Lap 3, they may have no chance of winning the race. If “expert” players seek a challenge, they may attempt the Underdog Challenge where they can help the weak AI, Ivanov, Morgen, and Baptiste, to finish higher than the strong AI. 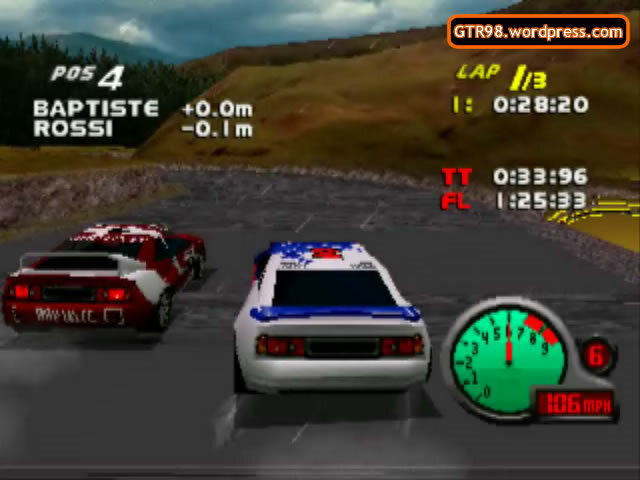 This challenge is one of the trickier ones, as oncoming cars will not decelerate behind the player whenever a bottleneck is attempted. 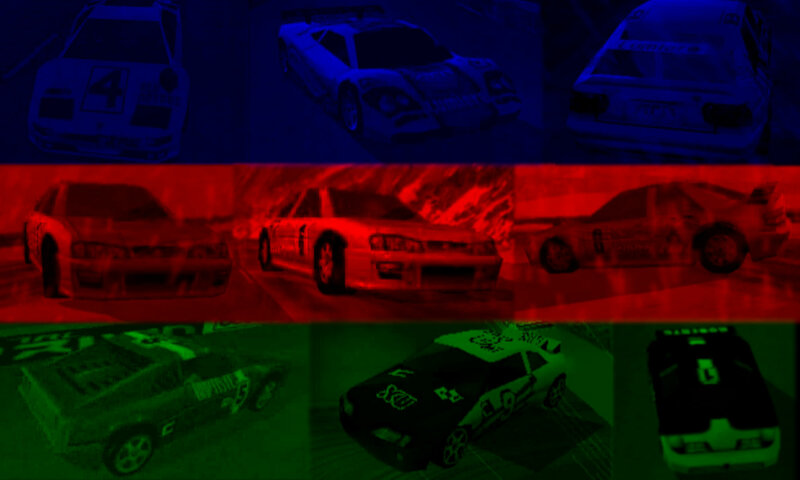 Rally cars have their top speeds increased to 120 mph.